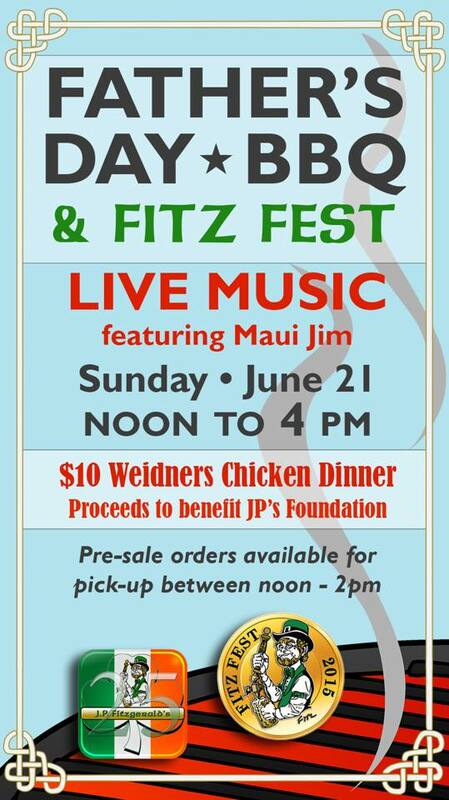 Maui Jim: Don't make Dad grill on Fathers Day! Don't make Dad grill on Fathers Day! Join me on Sunday, June 21st. That's right, Fathers day, for some BBQ, brews and music. It's J.P. Fitzgerald's 25th anniversary blast, Fitz Fest.